We supply a range of options to secure your gas cylinders in place and prevent them from falling, moving or causing damage if not secured and restrained properly. 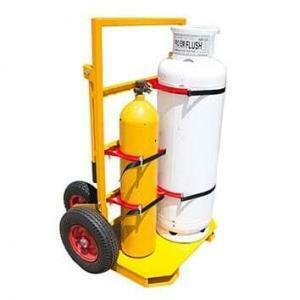 To comply with Australian safety standards all gas cylinders, whether empty or full, are required to be fixed with a cylinder restraint. Inside Out Safety’s top priority is to ensure our brackets, restraints, clamps and chocks provide you with vast configurations of reliable and hardy solutions, for all your cylindrical storage needs. 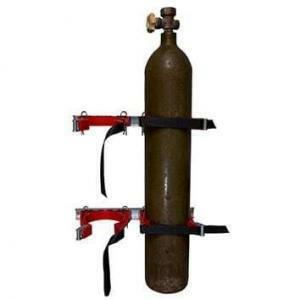 We stock Bottlechock restraint systems that are Australian designed and manufactured that restrict both horizontal and vertical movements of each cylinder individually. Whether you need a fire extinguisher bracket, a gas cylinder bench clamp or a Bottlechock restraint for an oil drum, we have the system to suit your needs that is easy to install and allows for quick access.